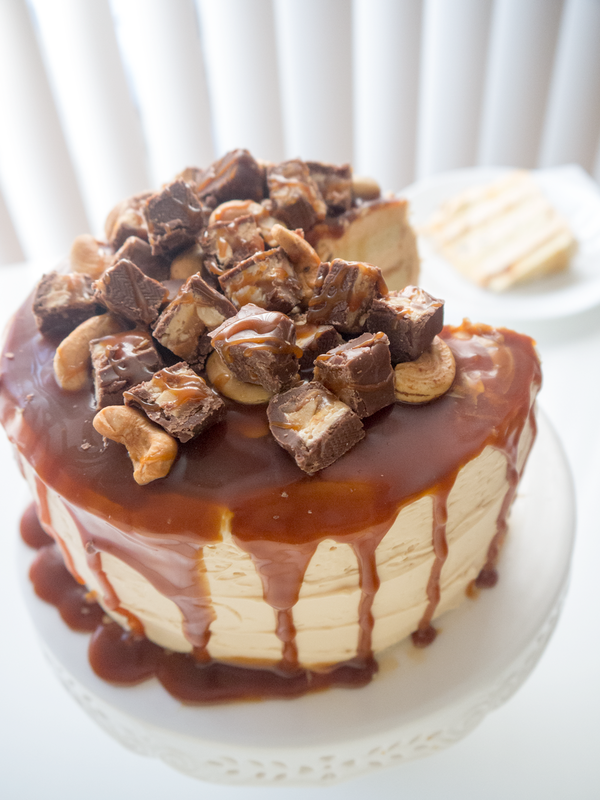 Layers of vanilla cake, dark salted caramel, and Swiss meringue buttercream, with tadaaaaa... Snickers! And cashew nuts! And more caramel! Aren't you excited about this cake yet? Well I am and I wish I still had some of it left in the fridge. I made this cake for M's birthday several months ago (I know, my backlog is crazy). He is quite the sweet tooth and we were obsessed with salted caramel then, inspired by the best salted caramel ice cream in the world. 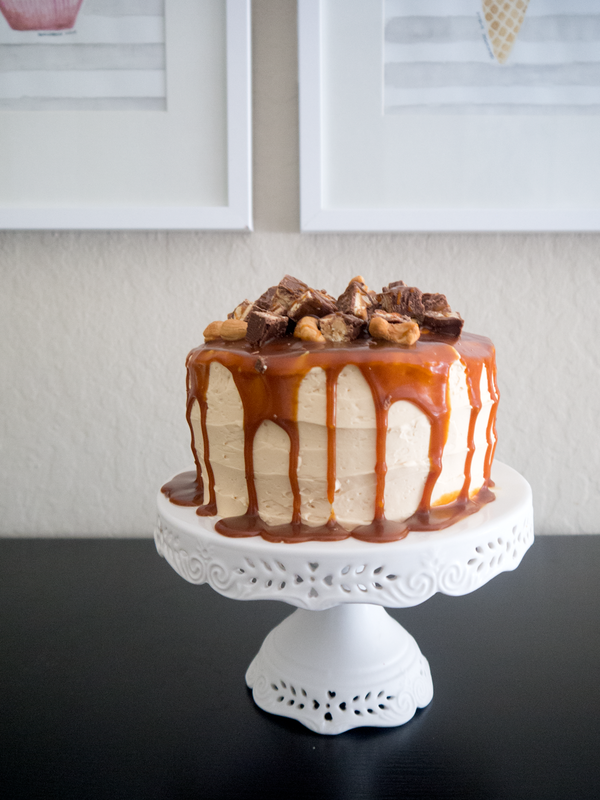 So instead of the usual chocolate birthday cake/cupcakes, I made a salted caramel cake for a change. The Snickers topping was my idea. I think it's not M's favorite or anything. But! Snickers is my absolute favorite candy bar. Luckily, while I was baking this cake, I remembered that I had a stash of mini Snickers in the pantry just waiting for the right dessert. And this was it. 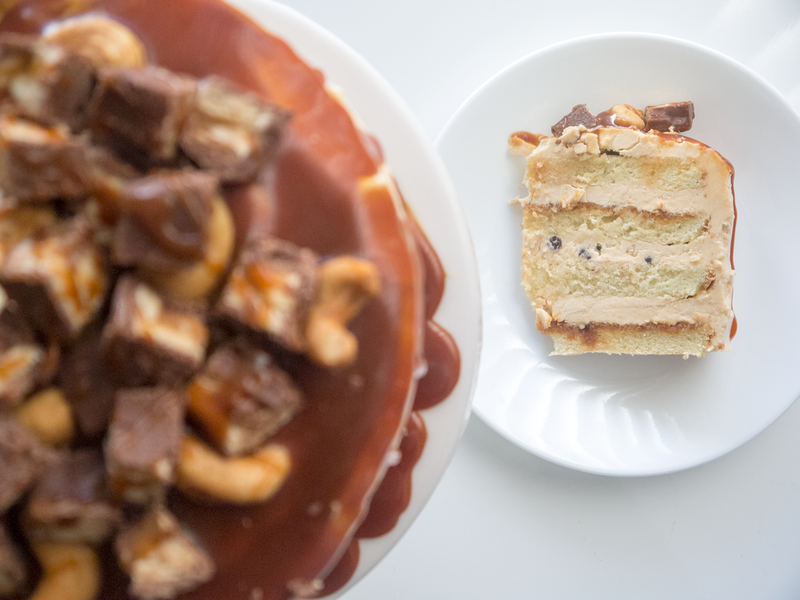 The chunks of Snickers made the cake more playful and kind of more celebratory, if you know what I mean. 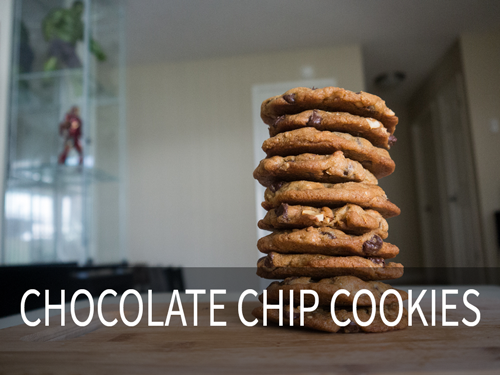 There are many steps to this recipe but all worth the time and effort, I tell you. 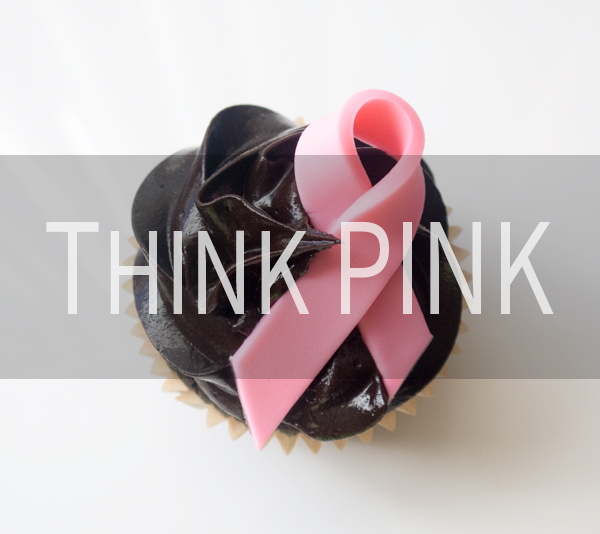 It can be too sweet, with all the candy and caramel so feel free to adjust. Also, it helps to have dark caramel so that its deep, almost-burnt notes slightly counteract the sweetness. To achieve this, make sure you keep the caramel on medium heat until a little past its smoking point and it's dark amber in color before removing from the heat and adding the butter and cream. Truth be told, it takes a bit of practice to get to the perfect caramel. I "undercooked" and burnt caramel a few times before I achieved the deep, dark, almost-burnt-but-not-quite-yet profile I was aiming for. I still burn my caramel from time to time. Hehe. It happens. So don't get discouraged if you don't achieve it the first time you try. Just try again. Try and try until you succeed, eh? By the way, The Elba Diaries has a new look! Yey! Google had been complaining that the old version was not mobile-friendly so a few nights ago, during midnight I should add, I decided to try a new theme, just to see if it would be a good fit. I planned to bring it back to the old version immediately after as I was supposed to go watch the SF Pride Parade early the next day. But oh man, I couldn't bring back the old one because I fiddled with the widgets and stuff so I had to fix everything that night (or morning). I ended up sleeping around 5am with still a lot of stuff to fix. Needless to say, I missed the parade. Anyhoo, the blog is now mobile-friendly and I hope you like it. :) Let me know what you think! 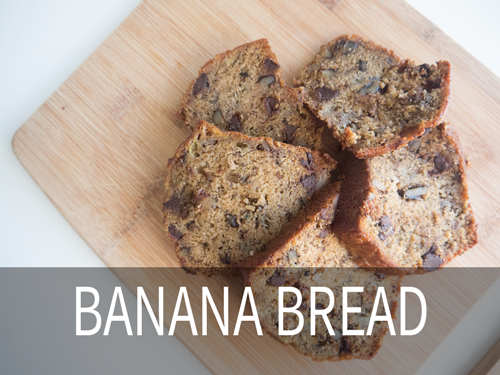 Preheat the oven to 325 degrees F. Grease 2 6-inch round baking pans and line the bottoms with parchment paper. I used springform pans. Grease and flour the top of the parchment paper and sides of the pan; set aside. Divide the batter evenly between the two pans. Bake until the cakes are set, firm to the touch, and a cake tester comes out clean, 22 to 25 minutes. Cool the cakes in the pan on a wire rack for 10 minutes, then remove the cakes from the pan and place on the wire rack to cool completely, about 1 hour. While the cakes are cooling, fill a medium pot one-third full with water and bring to a gentle simmer over medium heat. Place the egg whites and sugar in the bowl of an electric mixer. Reduce the heat to low and place the bowl over the pot, making sure that it is not touching the water. Whisk continuously until the sugar has dissolved and the mixture is hot, 3 to 5 minutes. Place the bowl in the mixer and beat on high until the whites hold stiff peaks and are cool, about 5 minutes. Feel the bottom of the bowl to check. With the motor running, add the softened butter to the meringue, 3 tablespoons at a time. Keep mixing until all of the butter is incorporated and the mixture is light and fluffy. Lastly, add in the salted caramel and mix until smooth. Once the cakes have cooled completely, cut each cake in half horizontally, making sure the layers are approximately the same size, flat, and even. 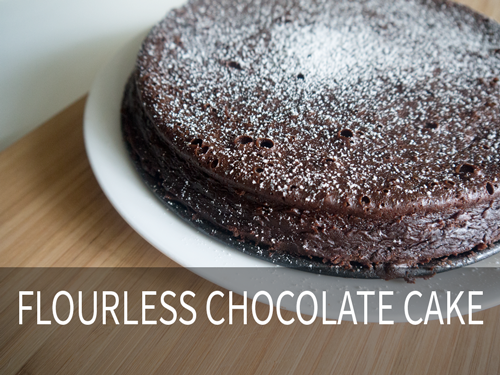 You may have to scrape the top layer of each cake to make it flat. You will end up with four layers of cake. 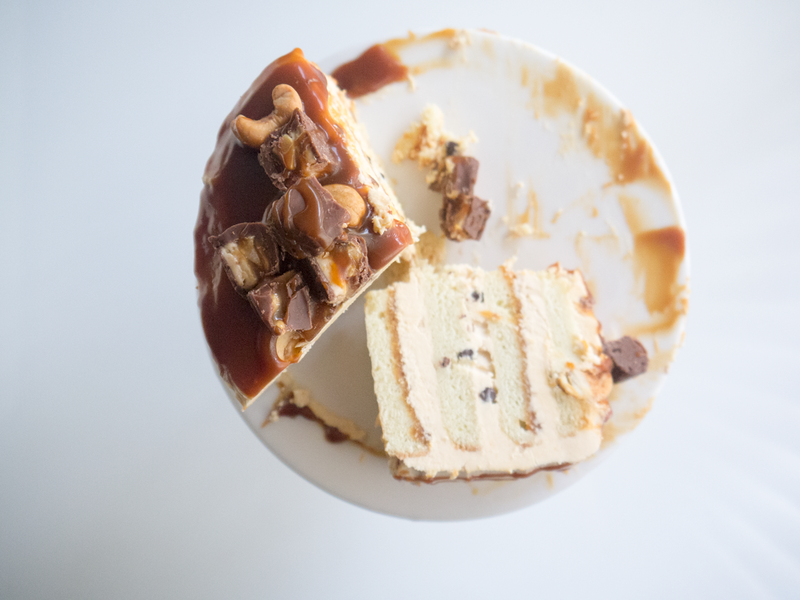 Place one layer of cake on a cake stand or cake board, smooth a thin layer of the dark caramel on top and then layer about 1/5 of the frosting on top of the caramel. Stack the second layer of cake on top. 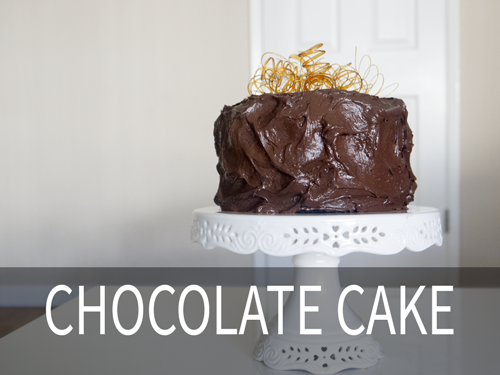 If you like, mix some mini chocolate chips into the frosting for this layer for texture. Layer the buttercream (with or without the chocolate chips) on the second layer. Repeat Step 2 for the third layer: cake, caramel, frosting. Lastly, place the last cake layer on top with the flat side facing up. 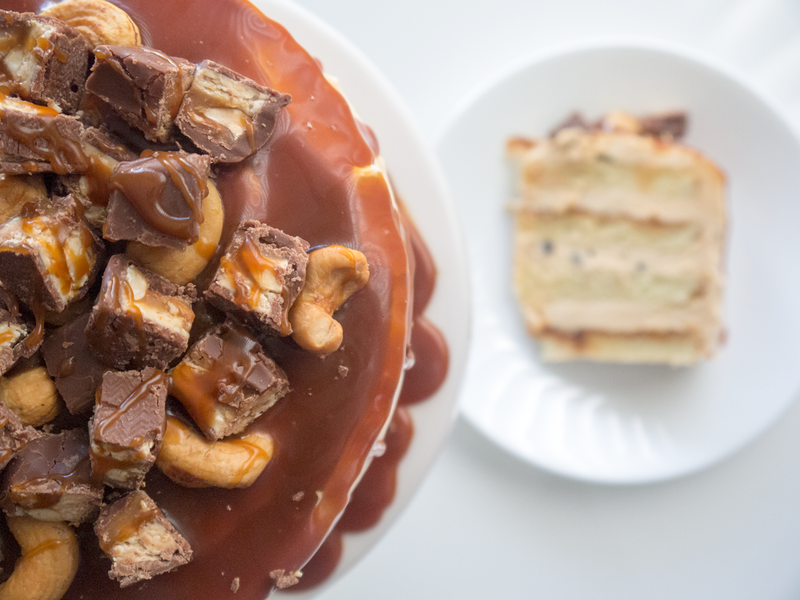 Pour 1/4 cup of the dark caramel on top of the center of cake and allow to drip over the sides. Top with the Snickers chunks and cashew nuts. 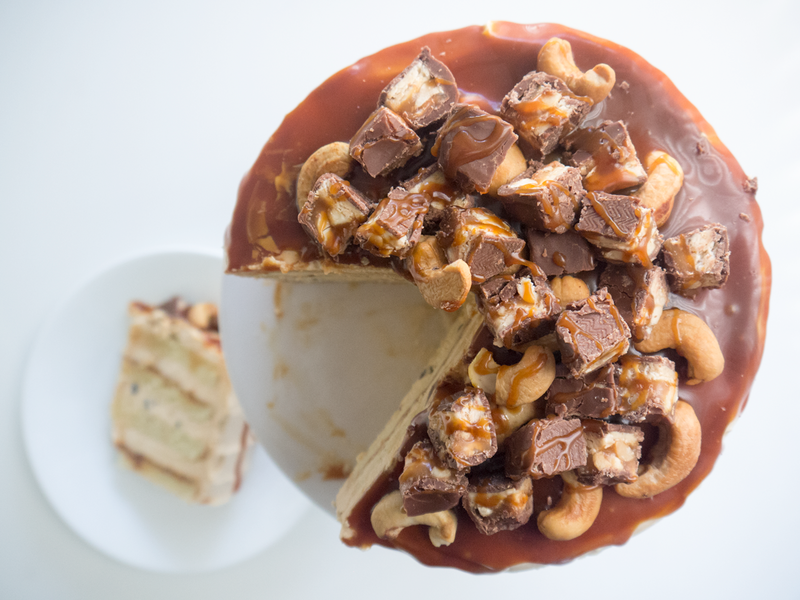 As if that's not enough yum, drizzle more salted caramel on top of the Snickers and nuts.